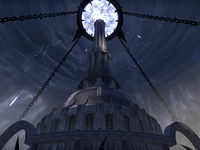 In 2E 573, five years before the Soulburst, Emperor Leovic of the short-lived Reachmen dynasty known as the Longhouse Emperors legalized Daedra worship throughout the crumbling Empire of Cyrodiil. After hearing of this, Duke Varen Aquilarios of Chorrol summoned the military forces of the Colovian Highlands to depose Leovic. 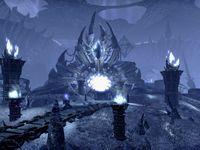 Varen based his rebellion out of Bruma, from where he coordinated his troops as they liberated Cyrodiil's other cities to further weaken Leovic's control. 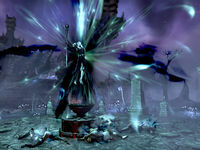 The rebellion claimed victory when Varen's forces stormed the Imperial City, and Varen personally dispatched Leovic at the foot of the Ruby Throne before proclaiming himself emperor. Esta página foi modificada pela última vez à(s) 00h21min de 26 de fevereiro de 2016.